Atlas studied old books of Crystal magic and mastered the control of time. He researched old tales of what started all this, of how the world had fallen. And then Atlas stepped into the past, determined to save the Realm — and stop the Darkness — by changing the course of history. 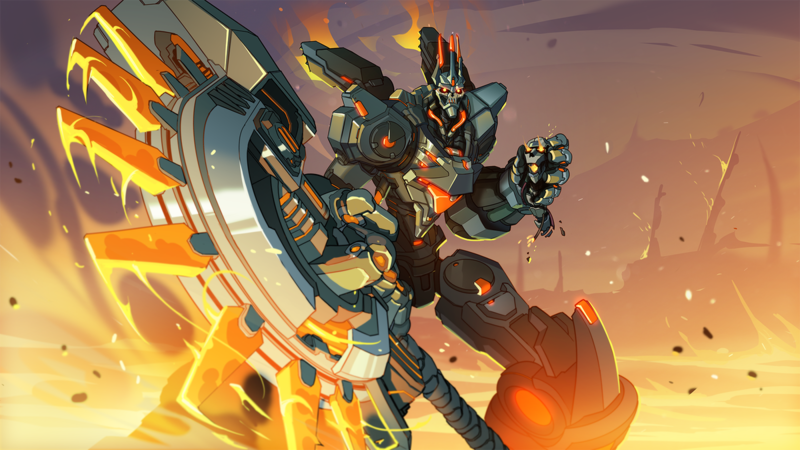 Atlas, the new Frontline Champion, has been revealed for Paladins. The character will be making his way to the game sometime in March 2019. More details on what Atlas offers will be shared tomorrow. Hi-Rez Studios has launched a hotfix for Paladins, and detailed an upcoming client patch. Check out the details on what both have to offer below. - Fixed an issue where the “Play 5 Games in the End Times event” quest was not incrementing progress. - Fixed an issue where Xbox users were not receiving their Champions or Founder’s Pack on merged accounts. There are certain games available right now that allow for cross-platform play on all consoles. For a very long time, Sony blocked cross-platform play on PS4 with Switch/Xbox One users. That eventually changed after fans complained quite loudly, and Epic managed to reverse Sony's original decision on Fortnite. The thing is, not all games get access to the same cross-platform options. 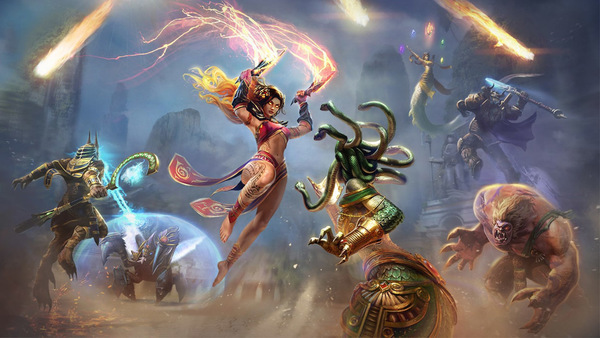 For example, Hi-Rez Studios' titles (SMITE, Paladins, Realm Royale) don't have full cross-platform play. Hi-Rez Studios President Stewart Chisam wants Sony to stop holding them back and open up full cross-platform play, so their fans can enjoy games together with other Switch/Xbox One/PS4 users. You can see Mr. Chisam's comments below. But that’s not all… we’re celebrating Valentines Day with an absolutely infatuating in-game activity. 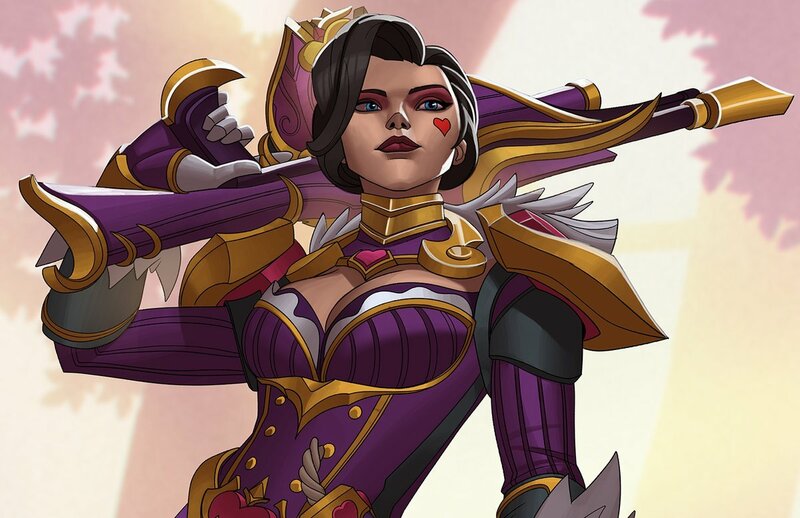 Win one game on Valentines Day (February 14th) and unlock the exclusive Queen of Hearts Avatar! Suit up and engage weapon systems in Paladins' newest mecha-themed Battle Pass. Will you side with the Paladins Defense Force or the Imperial Magistrate? 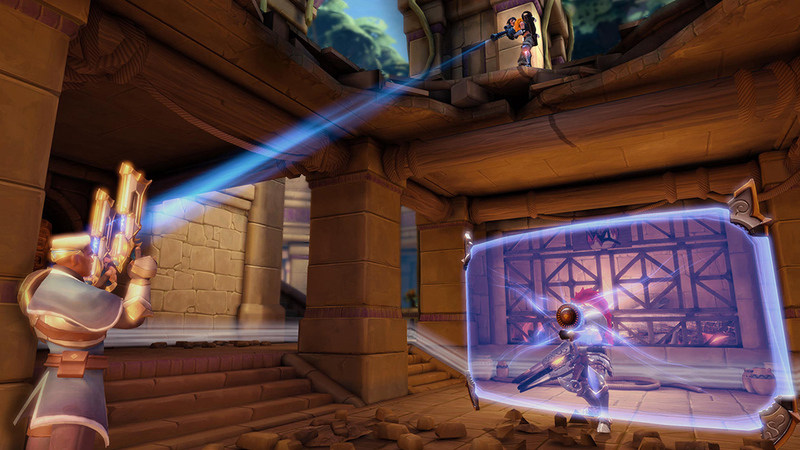 The Paladins dev team has shared another dev blog detailing their work on cross-play and cross-progression. Check out the full blog below. It’s been so exciting to pioneer cross-progression and cross-play, and we’ve made amazing progress so far. We’re so excited to get this feature live and out to as many players as possible, but we don’t want to rush it. In 2019, we’re more focused on polish than ever before. We want to do it right, not do it quick, and we’re going to need a little more time to properly execute this massive leap forward. We expect cross-play across Xbox, PC, and Nintendo Switch to release with all of these features in Update 2.02. We’re also targeting a 2.02 release for cross-progression across PC and Xbox. Thanks so much for your patience and support–we know these features will be worth the wait! Frost and fire, heed my call! 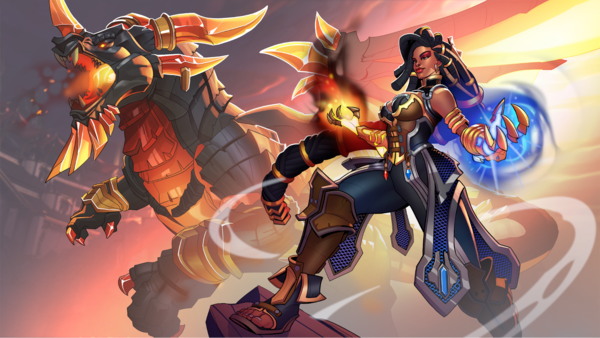 Imani has finally arrived, bringing with her the elemental might of the Warders and their dragons. 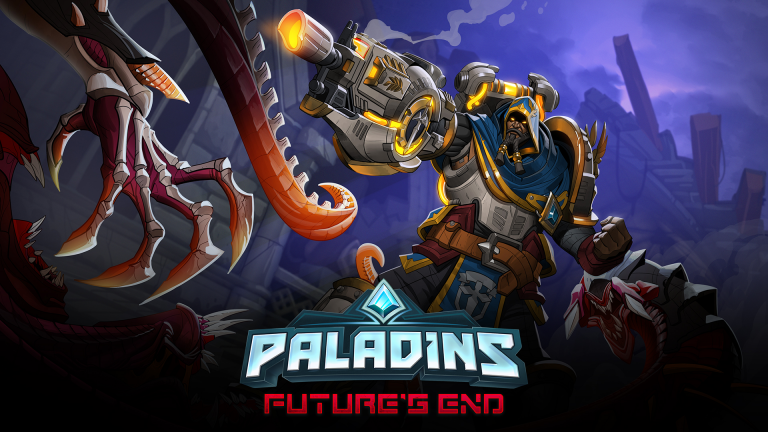 The Hunt, an initiative focused on QoL, bug fixes, and polish, will introduce new improvements to Paladins every update. The Hunt’s mission is simple: We want to end 2019 with Paladins in a better state than it’s ever been before. We’re also happy to announce the start of Season 2, featuring a reworked Ranked system, a major overhaul to Talents and Loadouts, and plethora of new Champion balance. 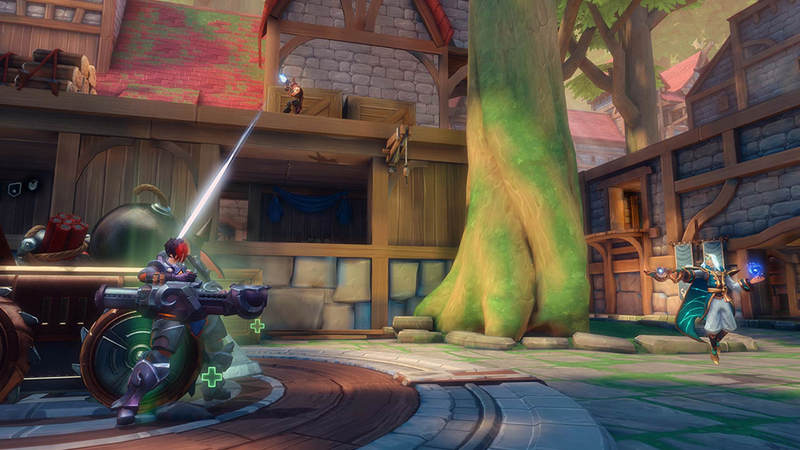 Enter a fresh new Realm and experience Paladins like never before! We’ve developed a brand new Battle Suit Battle Pass complete with three Mech-tastic skins, an all-new Speeder Mount type, and tons of new content for you to enjoy. Hope you’re ready to suit up, pilot! Here's an odd situation for Paladins players on Switch. Some people have noticed that the options for motion controls have completely disappeared. They can't be used and there's no settings for them in the options menu. Then after a crash or a reboot, the options reappear. The dev team is currently looking into this issue, as they currently have no clue as to what's causing it.